Production numbers for 1998 993 c2 cab ? 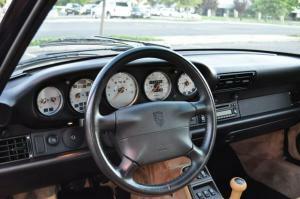 The Wikipedia 911 or 993 forum lists the production numbers for the 993 c2 cab with varioram (1996-1998). However would any of you know how many we're produced in 1998 only? 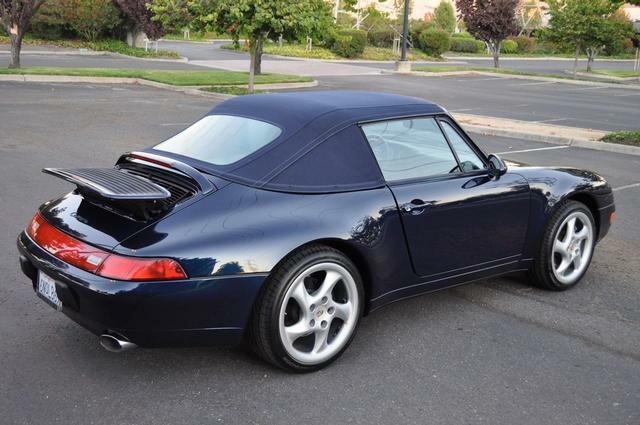 Zero Porsche 993 produced in 1998. 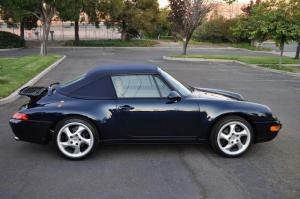 The last porsche 993 out of the factory rail was end of October beginning of Nov 1997. Some returned to the exclusive workshop after being unsold @ dealers. R.O.W. WP0ZZZ99ZWS330001-0198, but actual produced cars totaled 138.
please bear in mind that the special DOT USA/Canada sticker mentioning MFD date, was affixed always after car was ordered by dealer in USA. The bar code included dealer information for insurance, and TAX purposes. These stickers are not on ROW cars. As an fyi, mine is mfd in 10/97 and #611. Where do you find the chassis number? My C2S has MFD of 12/98 with last 5 of VIN: 321348. When I say chassis number ... I'm referring to the last 4 digits of the vin that's all. Are you sure your Manufacturer date is 12/98? Don't you mean 12/97? That follows what I've been told, the last cars shipped out after New Year and for North America, that's a 30 day passage to get to the dealer .. I've read and/or been told that all production was finished on the 993 before the factory break for Christmas and most of the last few weeks were done by the Exclusive department away from the new 996 production lines as they were in full production mode by then. Noting that # 830 was manufactured 11/97, my chassis number is 594, produced 10/14/97. by Certificate of authenticity. If we could get more numbers (I know some list was put on the RL), we could really get daily output! What is with some have quoted from sources that only 993 Wide bodies were produced in total? 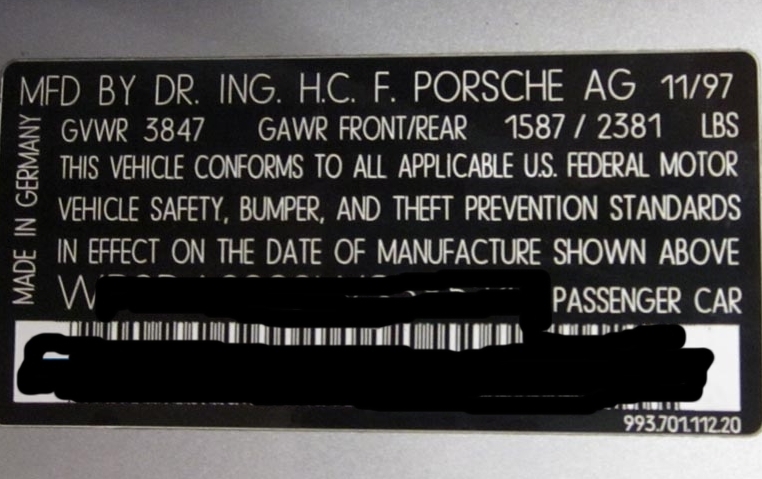 Your number does not match as 12/97, you stated chassis numbers number 348, whereas mine as noted above is number 594, according to Porsche's "certificate of authenticity" produced 10/11/97, so October 14, 1997. So yours, if built in Dec. 97 should be a higher number! Please recheck your chassis number, so to be sure you have the right information. My manufacture date is 12/97, #1152. So I'm guessing that makes mine one of the last 993's built? Does that mean it wasn't built on the factory line but in the exclusive dept? Well ... I've heard various scenarios but the most likely is that they were built on an isolated assembly line somewhere away from 996 production .. and your car's vin is only 49 numbers from the end so ... it was definitely one of the very last days that Porsche built 993's :-) might have been built right along with Jerry Sienfeld's Turquoise Blue 'S' .. the car purportedly to be the last 993 built. Quick Reply: Production numbers for 1998 993 c2 cab ?